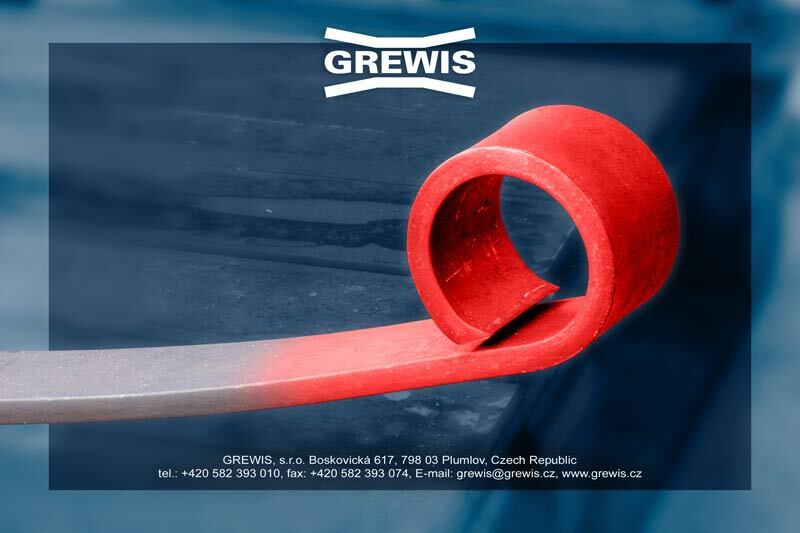 GREWIS Co. produces hot-processed springs exclusively from spring steel. The springs are completely hot - processed, jetted (by shot peening) and consecutively tested pursuant to ČSN EN ISO. 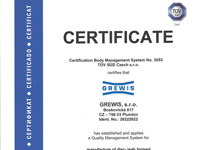 The technological production process is systematically controled with respect to the customers requirements. 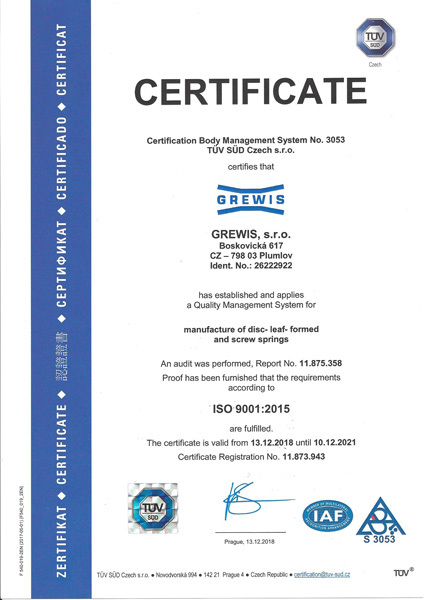 The whole production process with follwing testing of the products quality is managed by the systems ČSN EN ISO 9001:2001. This system has been created and used by our firm. Produce spiral springs (springs wound) formed by heat. 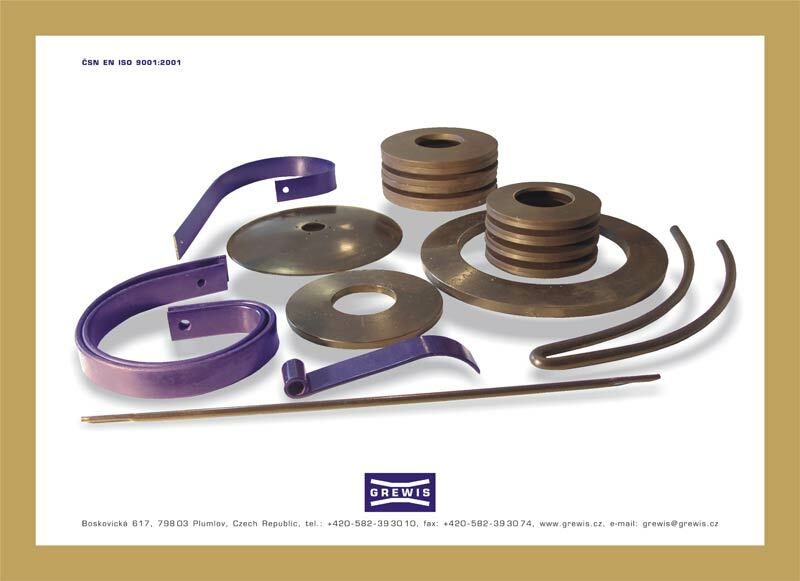 Finish springs: blasting – shot peening, powdered paint shop, paints.